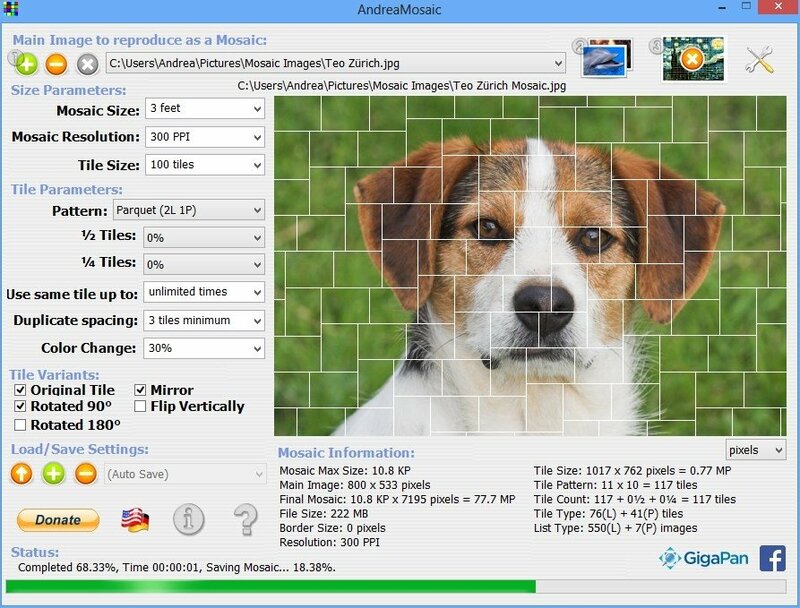 AndreaMosaic is a tool that will help you to create image mosaics from other images. 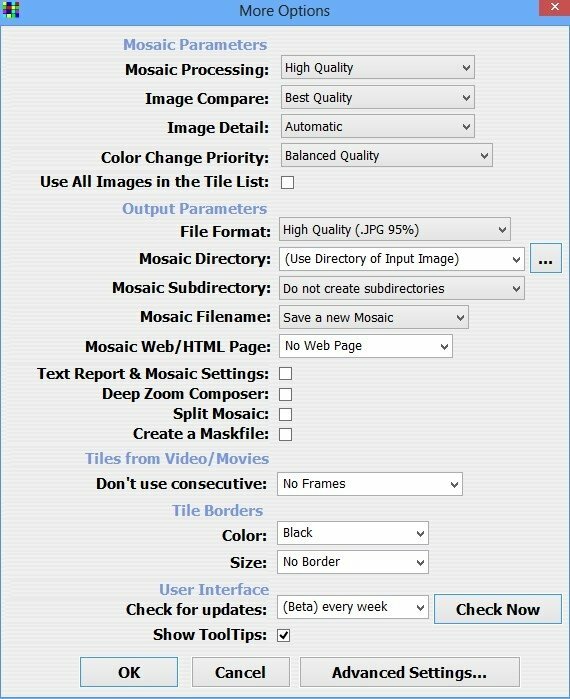 This small utility will allow you to add all the images that you want so as to later process them and generate the mosaic that you have chosen to create. Once the images are open in the program, AndreaMosaic allows you to configure the size in which they will be printed and the resolution and the number of tiles that they will contain. What's more, you will be able to configure the number of times that an image will be repeated and the distance between them, to make them seem that they aren't repeated so many times. On the other hand, with the intention of trying to gain originality, AndreMosaic allows the images to be flipped as mirrors, 90 or 180 degrees,... In the end, the idea is that the final product is an original and unrepeatable mosaic. This will make the process be very slow but will make sure that the image will be as similar as possible to the original. When you download AndreaMosaic for free, you'll have to take into account that the images aren't added directly, instead of that you have to create a list that will later be used to process the mosaic image.